Not the first time Misery have featured on this site, with the original pressing of their debut 'A Necessary Evil' being one of my favourite rarities in my collection. This is the bands 2nd album 'Revel in Blasphemy', featuring another dose of abrasive death metal which gets the fists clenching and the neck snapping. 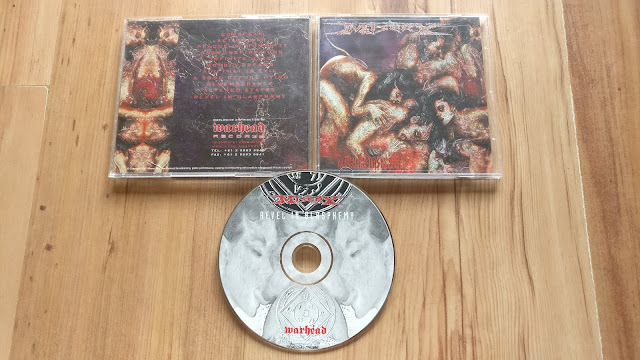 Original pressing on Warhead Records, one to track down for the death metal heads. One weird quirk this album has, after the final track ends, the album plays through backwards for its entirety. INVERTED ALBUM ATTACK!